We all want and need to hit it further and straighter off the tee. The best golf driver for your game will control the damage on mishits and soar long and straight when you hit it pure. Have the wrong driver in your bag, and you’ll need to leave it there and tee off with an iron or fairway metal to keep it in play. It can be overwhelming to choose between all the flashy new and lightly used drivers on the market, so we put them to the test to help you find the best golf driver for your game. TaylorMade, the makers of the number one driver in golf, released another set of new drivers this year; the M3 and M4. 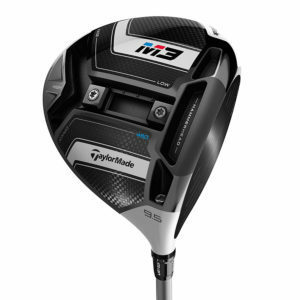 The M3 is the driver that replaces last year’s M1, the highly adjustable driver in TaylorMade’s collection this year. Between the weight and shaft adjustability, the TaylorMade M3 offers plenty of options for every golfer. To start, the big catchphrase this year is “Twist Face.” It’s a dramatic change in face design, which allows you to hit the ball straighter and farther. Twist Face refers to the shape of the face on the M3 and M4 drivers. Now, there’s a different curvature and face angle that corrects a shot’s direction on mishits. So, side spin is greatly reduced to create a straighter shot. Most drivers feature a consistent curve from heel to toe, called bulge, and crown to sole, called roll. These curves will help improve a shot hit that is off-center. 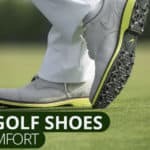 TaylorMade engineers noticed that bulge did not actually help the most common mishits, heel and toe shots, so the Twist Face was developed to specifically address this. The Twist Face now curves open at the top and moving towards the toe. The reverse is also true, the face curves closed at the bottom and toward the heel. This creates more overall forgiveness in TaylorMade’s new driver. Both the M3 and M4 feature the new “Twist Face” technology, but it’s only the M3 that allows for adjustability along their “Y-Track” system. Last year, the M1, featured a “T-Track” design for weight adjustability. The slight change provides players significantly more adjustability options. Not only that, but the adjustability is incredibly simple to understand, with five main positions for standard, max speed, forgiveness, max fade, and max draw. Along the “Y-Track” there are two 11-gram weights that can be moved in any position desirable. The M3’s “Hammerhead” design has a slot that is visible on the underside of the club, directly behind the face. This Hammerhead slot creates a lighter, more flexible face. 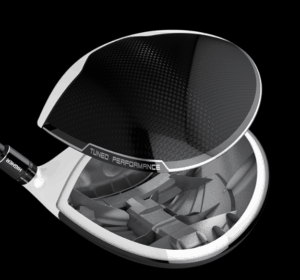 The face reinforcements increase the size of the sweet spot, leading to greater forgiveness, and increasing the ball speed immediately after impact. 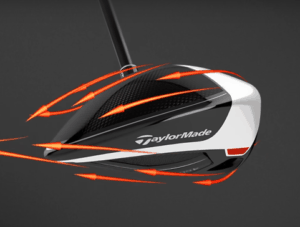 TaylorMade’s design helps every golfer experience longer and straighter drives more often. Many drivers these days follow the “bigger is better” rule, but in drivers, that’s not always true. 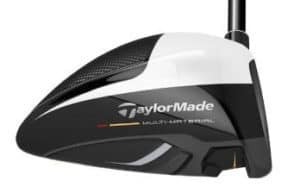 So, TaylorMade created an M3 driver that will be 440cc; the M3 440. 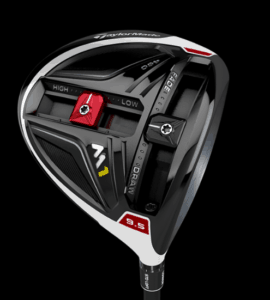 For those folks who like a slightly smaller club head, but still want all the advanced features of a modern-day driver, the M3 delivers. Though it offers no statistical difference from the 460cc, it will offer a more comfortable look for the old-school players. As with all drivers, shaft selection is crucial. TaylorMade offers three, diverse shafts with the M3 driver this year. There’s the Tensei White, Blue, and Red, each one offering a different benefit to players. First of all, the Tensei White is a heavier shaft (79g) that will launch the ball lower, with low torque, and less spin. The Tensei Blue is a 64-70g shaft that provides a mid launch, mid spin, and mid torque. Finally, the Tensei Red is the lightest in weight that will launch the ball high, provide a mid-spin rate, and high torque. In general, if you hit the ball too high, look for a shaft that’s heavier and provides a lower launch (tip stiff) and vice versa. Also, if you slice the ball, look for a shaft that has a higher torque, in order to straighten your drives out. The TaylorMade M3 provides significantly greater benefit from last year’s M1. The adjustability of the “Y-Track,” forgiveness of the “Twist Face,” and increased ball speed of the “Hammerhead” design all lead to a driver that over-delivers in a variety of categories. If you want to play the driver swung by the 2018 Masters champion, Patrick Reed, here it is: the PING G400. Even though the look of this driver may be the simplest on the market, it’s packed with advanced technology that make it one of the best out there. 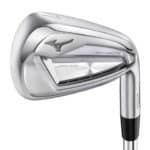 It has a new forged face, custom weighting, improved sound, aerodynamic head, and a sleek new look for style points. There are four different types of G400s in their series that’ll fit any player; the standard G400, max (460cc), LST (low spin), and SFT (straight flight). Be sure to include one of these on your list of potential new drivers. The forged face on the PING G400, called the T9S+, was designed to flex more. This feature produces higher ball speeds off the face at impact, leading to more distance overall. Additionally, it creates a powerful sound and feel which is always important in a new driver. I can attest, the sound and feel off the face of the G400 is smooth and powerful, one of the best I’ve hit so far. The PING G400 features a Tungsten back weight that creates an extremely high MOI, over 9,000. This, paired with the deep center of gravity, leads to a straighter ball off the tee. Even though the club looks fairly simple, you’re still able to customize the launch by adding or subtracting 1 degree of loft. I’ll be honest, I didn’t think that look and sound would be a big factor in selecting a driver for me. When I was on staff with TaylorMade several years ago, I was given the R1. If you remember anything about that driver, it was, in my opinion, the ugliest driver I’ve ever set eyes on, but I didn’t care because I crushed it. So, when doing research on the G400 they mentioned the sound and look of the driver as an advantage, I laughed it off, but after hitting it I was convinced. The look and sound of the driver definitely contributes to a player’s overall confidence they carry with a club. In this case, the sound made me feel like I had more power than normal. The sleek, matte black look, and “Dragonfly Technology” (discussed below) made me comfortable and relaxed standing over the ball. The numbers don’t lie either, the design reduces drag by 40% in the mid-downswing and 15% overall, meaning you’ll see an uptick in club head speed and ball velocity. PING is calling the crown design on the G400 “Dragonfly Technology.” Basically, it creates an ultra-thin crown and skirt, which saves weight. This weight savings helps the center of gravity location and contributes to the MOI mentioned above. The improved center of gravity builds a driver with greater forgiveness and accuracy. This was definitely something I noticed when hitting it; My dispersion seemed much closer together than my current driver and my mishits still sounded and felt strong. One thing I’ve always love about PING is that they pay attention to even the smallest details. For example, the gold paint on their stock shaft transitions to nearly black at address, so it eliminates even the slightest chance of distraction to the player. I’m not sure I’ve ever been distracted by paint on a shaft, but this is a very cool feature. In addition, the shafts available are wide ranging and offer enough diversity to fit any player. PING offers shafts anywhere from 53-80g, which will fit anyone. For those looking to improve their swing speed or get the ball higher, consider a lower weighted shaft. They also make selecting a shaft really easy. They don’t lead with information on kick-point or tip stiffness, which can be confusing to some players. Instead, they categorize all their shafts based on the desired launch angle; low, low-mid, mid, mid-high, and high. So, PING has thought of it all with the G400, even down to the smallest details like shaft color, sound, and look of the crown. All this means that they have paid more attention to the things that can’t be seen. As a result, they’ve developed a driver that performs for players of every skill level. TaylorMade’s M1, which arrived in 2016, might be the peak of the adjustable golf drivers. It has a T-track weighting system, low Center of Gravity, and a multi-material body calibrated to distribute weight in a way that maximizes distance with the forgiveness to make your mishits playable. The first thing that distinguishes the M1 driver is it’s sleek, two-color head consisting of a white titanium front section and the light carbon-based rear. The design of the contrast really helps with alignment since the white portion looks like a putter. It also has a half-trapezoid shaped carbon cut-in notch directly behind the sweet spot. It helps with focus on making perfect contact. The bottom of the club has the notable T-track weighting system which gives you the ability to change the center of gravity of the entire clubhead. This lets you calibrate the club to the nuances of your own swing. While improving your swing is important, sometimes it’s easier to have clubs that compensate for your bad habits. The purpose of the adjustments is to compensate for swing habits that cause off-center contact. Adjustment features can be a little intimidating, so here’s a quick overview to help you get started. It helps to have a feel for your typical ball flight – does it fly high or low? Lots of curve? Do you slice or hook? Next time you’re at the range, take 20 shots and write some notes on each. The Front Track has a range of possible settings but centered around a Neutral, Fade and Draw. The Fade setting is out near the toe while Draw is near the heel. It’s recommended to start with a fully Neutral setting and adjust based on trends in your ball flight. If you hit your driver off-center towards the toe, you can shift weight out to the toe so the club doesn’t twist at impact. Ball contact outside of the Center of Gravity causes rotation of the clubhead (aka at the Moment of Inertia) and that rotation puts spin on the ball. A bonus to the Front Track is that it doubles as a speed pocket (as seen in many non-adjustable drivers) that is designed to increase ball speed off the face. The front track of the M1 driver moves a 10 gram weight between the face and heel of the club, shifting the Center of Gravity either closer to the face of the club or more towards the back. When the center of gravity is closer to the face, your dynamic loft (explained later) will lower, causing the ball to launch closer to the ground. If your swing puts lots of spin on the ball and it tends to curve too much, you’d want to reduce spin. Putting the weight forward does this for you. The downside to the forward setting is that the ‘sweet spot’ is condensed which leads to a less forgiving club. If your ball flight is lower than optimal or you’re not getting enough backspin on the ball, you’ll want to adjust the weight further back. The same goes if you need a more forgiving sweet-spot. You might have noticed that new drivers have more of a pointed back, like a triangle, compared to drivers that were more rounded. This development is based on wind-tunnel testing to minimize the friction from the air during your downswing. The curved, bubble shaped drivers caused air rounding the top and bottom to clash, resulting in inconsistent. The new drivers are modeled a bit more like an airplane wing where the airflow is designed to pass behind the clubhead. My driver has the Kurokage Mid Launch shaft and seems to be the right fit for me. I’ve never been a big enough tinkerer to test lots of shafts but I’m sure I’ll find myself down that rabbit hole soon enough. Ooh man, does this thing fly. I was skeptical about the improvements people were claiming in the same way that everyone seems to “drive it 250” even though most don’t. Fortunately, testing did show improvements in accuracy and distance. The shot dispersion was a little tighter, and my carry distance was up between 6-9 yards. Adding a total of 20 yards with more fairways hit with the M1 is definitely possible. The first thing you’ll notice when holding the M1 is how light it feels. It’s not actually much lighter than most driver, but the low center of gravity and carbon crown likely has something to do with it. Although it’s light, it still has enough weight to feel like you can control it. If a club is too light, it can be hard to feel what’s going on during the swing. I realize that sound doesn’t lead to distance but driving the ball is a lot about confidence. The sound it makes when you strike it correctly is nice and solid. Some drivers have an overly loud, metallic ‘ting’ sound that rings out, which I’m not really a fan of. It’s a minor factor but I do appreciate the way it sounds. Golfers who struggle to keep the ball in play will be happy with the way the M1 driver handles on mishits, although there are more forgiving options out there. The face is designed to favor an on-target ball flight (toe and heel shots do their best to cure the ball back to center. This is where years of intense design and testing that TaylorMade does with every design benefits the average golfer. They not only optimize the club for pure strikes but also do everything they can to keep every shot playable without negatively impacting the consistent ballstrikers. Extreme mishits are predictably going to spray all over the course, but the M1 does a nice job of handling variation in contact. The best golf driver on the market is not going to come cheap. It’s not a discount driver so expect to pay several hundred dollars to put it in your bag. On the plus side, it should be a driver that lasts many seasons. It’s hard to envision drivers will get much better from here, so assuming you can carry it for 7-8 seasons, the cost per season comes down significantly. I was happy enough with the M1 in my testing that I consider it the best golf driver on the market and will be starting off the season with it in my bag. I would recommend it for scratch golfers all the way up to 20 handicappers. The Titleist 91X series is the driver of choice for PGA stars Jordan Spieth (915), Adam Scott, and Justin Thomas (the latter 2 have switched to the 917 this season) and it’s very forgivable when it comes to mishits. Titleist is normally known for making equipment targeting low-handicap golfers. In the past few years, they’ve started expanding their target market to include mid and high handicappers. The 915 driver is Titleist’s effort to create a driver accurate enough for Tour professionals while being forgiving enough for the 20 handicapper. 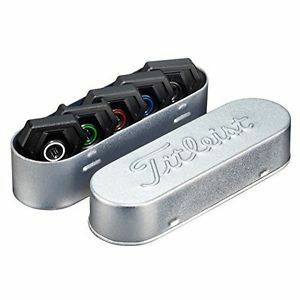 This is no easy feat and the Titleist engineering team succeeded with some smart design choices. The 915 D2 driver is visually impressive, with a sleek dark crown only adorned with a triangle icon over the sweet spot to help with alignment. 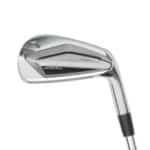 It has a typical pear-shaped 460cc clubhead and deep channel running along the sole parallel to the face, which they call the Active Recoil Channel. The face shows a large sweet spot area called the Radial Speed face with some horizontal lines running to the toe and heel. There is more material behind the center of the face vs the outer portions, which maximizes distance for center hits and adds forgiveness to off-center hits to keep your ball in play. The hosel is adjustable to calibrate the loft to your game. If your current driver is more than a few years old, you’ll almost certainly pickup substantial distance with the 915. The engineering improvements made in the past couple years have been really significant and it shows up on the course. Adam Scott added about 8 yards to his drive in the season he put the 915 in play, and that was only an upgrade from the 913 series. I added 22 yards when switching from an old TaylorMade R series driver. The weight system of the 915 has a single location with multiple weights to choose from. A heavier weight will move the Center of Gravity further back in the club which increases forgiveness. Better players can use lower weights to increase accuracy. 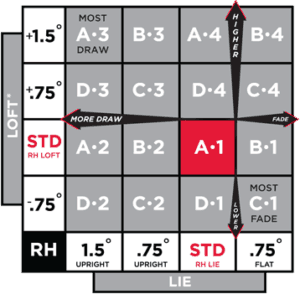 The loft adjustment tool has a Lie and a Loft adjustment setting in one place. Center-struck shots launch high and long due to the low MOI (see guide below for more on this). About half of my shots are typically slightly off-center, so the forgiveness really helped me. Bad shots off the upper toe would still get out there which can easily save you a stroke or two. 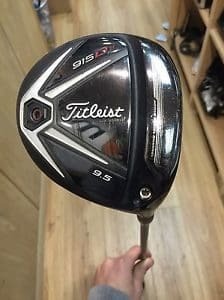 The Titleist 915 retailed at $499 when it came out but prices have dropped since the 917 was released. I’m not convinced the improvements in the 917 is worth the extra cash, but be sure to consider both. I’m a big fan of the Titleist 915. While the M1 hit a little more easily for me since I was able to calibrate it better for my swing, the 915 is a close 2nd. If you have a recent model driver, you’ll still likely add some distance and possibly more control. If you happen to have an old driver, this one will make a huge difference in your game. The golf industry and its producers have a desire to get you to get the latest, and greatest. “This our longest / most forgiving/ best driver ever” is something we hear every year, but yet fails to really resonate with a multitude of players who still want to keep whats works for them. Now, technology improves. If you’re trying and find a driver that will improve your game while maintaining a budget, there are some really good options. You don’t have to go for the newest driver simply out of peer pressure, I mean, heck the greatest golfer of all time, Jack Nicklaus, had the same 3-wood in his bag for 37 years, a 1958 Tommy Armor Macgregor. That means he was using a club that was almost 3 decades old when he won the Masters in 1986. 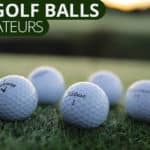 Some really good options are available for the higher handicappers, and definitely can be found for much cheaper than the top dollar drivers out there. 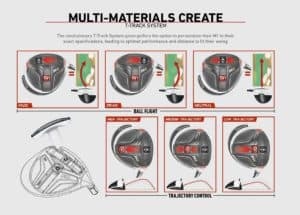 The Cobra MAX is a driver with some really great features, and considering its still on Cobras website, you can get it customized to fit your game a bit easier. Retailing at $279, it’s a steal for those who want something that will help improve a slice, provide more forgiveness, as well as not look super out of place. As mentioned previously, it’s available in all shaft flexes as stock, but also, the clubface is offset so that it corrects a slice, preventing those terrible misses to the right, and also helping increase distance. It doesn’t have any adjustment settings which is good for those who don’t want to fiddle with it and just want something they can grip and rip. Wilson provides another great offering for this group with its D200 driver. The D200 is a great driver with its 460cc head, and a very clean look. It’s very light compared to most, only 190 grams, which leads to a possible 234 grams of total weight depending on the shaft you select. It has adjustments on the hosel that allow you to give a slight draw bias by allowing you to close the club head, or adjust the loft if you need to get your flight lower or higher. The club is two years old but can be easily found brand new, and in your shaft for $149.99. Ending the category is the TaylorMade AeroBurner. This club really does excel at providing good value for money, as well as a forgiving driver for your game. This club is designed for people who want more distance but may not have the fast swing speeds. When it came out back in 2015, it was one of the fastest on the market in terms of club head speed. It was very aerodynamic which led to a faster swing, and more distance. It was released in 2015, but was revamped in 2016, and improved in terms of style and performance. Many people never really liked the white crown. The Aeroburner came out primarily in white, but when brought back in 2016, black was the standard. The club, with your shaft preference is available for only 149.99. 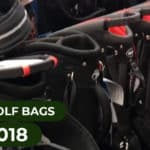 For the better player, there seems to be greater drive to get the newest equipment, but there are really great options for less than 300 available for the lower handicapper. The Titleist 913 driver is an amazing club. Providing adjustability, and high level performance, a really nice club to the bag. The club is available in both a 460cc standard head, as well as a 445cc head, providing a large group to appeal to. Faster Swing speeds would benefit from the 445cc if they’re struggling for accuracy, as it offers greater control of the club. Other players could use the 460cc head, and get much of the same performance for a fraction of the cost. The driver, when new, sold for 399, but right now, can be purchased for $199 from most retailers. The other benefit is that because of the surefit system used by Titleist has been used for clubs since 2010, the driver is interchangeable with any shaft with that adaptor already on it. If you see a shaft on sale with the Titleist adaptor on it, it will fit your driver with very few exceptions. Another option for the higher level player is the Ping G30 series. With three great options, including models designed to produce a straighter ball flight, the SF TECH, and a model to reduce spin, the LS TECH, Ping provides a great driver for the budget player. Every single model can be had for $249 and are available in a wide array of shafts and flex. The drivers raked in over 449 when they were new, and now can be yours for a little more than half that. The signature sound, and feel of Pings aren’t lost over time, and these drivers are great for any player who wants a driver that works under pressure. Yes, it’s nice to have the latest equipment from manufacturers, but when you test that new driver, always do a comparison between it and the earlier model. All of these drivers should be in your local golf shop. Compare their performance, then compare the prices. Go with the one that makes the most sense for your game. If you get a yard more with the brand model over the old model, why not purchase the old and save yourself $200-300, so that you can improve the other clubs that actually make a difference in your game. Your driver just might be the most important club in your bag after your putter. It’s the club that controls your ability to score – because the difference between a beautiful 280 yard baby draw and a snap-hook tee shot is the difference between a birdie chance and scrambling to make par or bogey. A bad tee shot also can make or break your confidence. It’s much easier to shake off a chunked chip shot or skulled mid-iron than a drive that goes out of bounds. Pushing your 1st tee shot into the 18th fairway is a great way to shatter your confidence before your round even starts. Simply put, your driver game matters. Picking out a new driver can be as simple as buying the the coolest looking or the one your favorite tour pro plays. The latest driver technology is still much better than a few years ago, so you’ll pickup some yardage by default, but if you really want to change your game, you’ll need a driver that fits your personal game. Cutting through the marketing hype: What actually matters and what’s just hype? How to pick a driver that makes YOU better. Not the most expensive or flashiest. Just the one that helps you perform your best on the course. Before you spend time and money on a new driver, you need to know where your game stands right now. Your game is specific to you and like a puzzle piece, you need to know the shape that best fits you. The right driver for you will enhance the positive elements of your swing while compensating for your flaws with the goal of keeping the ball in play as much as possible. You may already know the answers to theses questions, but it’s a good idea to have a special driving range session with your driver so you can really study what’s happening with your swing and ball flight. It’s important to review your current equipment to understand the changes you’ll be making when buying a new driver. If adjustable, what settings are you using? Hit 20-50 drives and take some notes on the quality of contact, ball flight, distance and roll. Be sure to take appropriate breaks between swings to mimic how you actually play on the course. In a normal round, you won’t be hitting multiple shots without putting your driver down, so you should practice the same way to keep things realistic. It’s pretty obvious that the harder you hit the ball, the further the ball will go. This can be measured through the clubhead speed at impact. If you hit the ball shorter, your swing speed will be lower than average. Longer hitters will be on the higher end of the range. 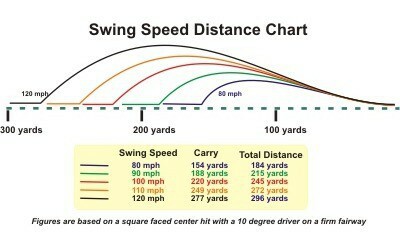 If you don’t have access to a launch monitor, you can use the chart below to estimate your swing speed. If you hit the ball high or low, you can jump up one level of swing speed (e.g. if you carry 188 yards with a low ball flight, you can assume 100mph instead of 90mph). What’s your typical ball flight? Do you have a ‘standard’ shot and 1-2 different ‘misses’? If you have trouble keeping the ball in play you’ll want an adjustable driver that can compensate for this. Where on the clubface do you usually hit the ball? To really understand your habits, draw a clubface on a piece of paper and add a mark on the diagram where the ball is struck. You can do this by checking the impact scuffs on the clubface after each of your shots. You should see a light mark where you struck the ball if you clean off the clubface before each shot. If you’re inconsistent, you will need a driver designed to be more forgiving than one focused primarily on the sweet spot. Now that you understand where your driver game is at, let’s break down the driver so you understand which parts matter. If you’re new to golf, the driver is the club that stands out the most when looking at someone’s golf bag: it’s the biggest and it’s clear that plenty of thought goes into the design. They just look cool. A golf driver is the club designed for maximum distance. Everything about it is designed to send your golf ball flying as far as possible while still being somewhat controllable and forgiving. It made of a large, hollow, metal head with a long a graphite shaft, typically extending about 43-45 inches from end-to-end. Drivers are designed to be used with a tee which holds the ball above the ground to create optimal launch conditions for getting your ball into the air as quickly as possible (more on the physics of this later). Because the driver is such a long club, the clubhead speed at impact is much higher than other clubs. Top PGA Tour players have drivers exceeding 125mph at impact while average golfers clock in around 90mph. A golf swing with a driver is different from other clubs. Because it’s intended to hit from the tee, you’re expected to make contact with the ball as the clubhead starts to ascend past your front foot. This is in contrast to iron swings where you should make contact with the ball just as the club descends into the ground. Drivers are also too long to swing upright around your body so it tends to look more rotational (think swinging around your back vs up over your shoulders). This leads many golfers to have a “driver swing” and an “iron swing” despite there being more similarities than differences between the two. Drivers compete with putters as the most expensive club in a typical golf bag, so they’re designed to be extremely appealing. Many tee box conversations start with “what are you hitting?” as players stare with jealousy at the latest $500 driver in someone else’s hand. Why would someone pay that much for a single club? Sure, it’s an important club in your bag, but the main answer? Ego. We’re drawn to the drive because it’s the chance to display the raw power that humans and technology can deliver to a golf ball. Go ahead and hit it as hard and far as you can. Let the loud, metallic ting ring out as your ball tears through the air, slowly rising into the clouds and carefully descending to the fairway like a plane approaching the runway. For many people, it’s golf’s ultimate test of masculinity – it’s version of “how much can you bench?” Leading to phrases like “drive for show, putt for dough”. People love to hit it far. 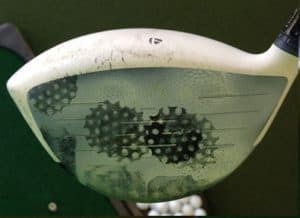 Just watch other golfers at your local range and you’ll notice that more balls are hit with drivers than any other club. The other reason drivers are expensive is related to the ego element. Companies know that you’re willing to spend good money for a driver, so they spend money trying to engineer the best driver to justify the price. You’d certainly pay extra for a driver you know will send tee shots soaring past your playing partners’ drives. They know that if they succeed in adding an extra 10-20 yards compared to everyone else, they’ll sell out at every golf shop in the US. This is exactly what happened with the first Big Bertha drivers came out. But it’s not only about engineering a better big stick. Almost no-one has the time or means to test out every single driver, which means the brands can leverage their marketing teams to cleverly exaggerate their claims, design extra novelties – those features you never knew you couldn’t live without. So don’t buy in to every claim they make – especially the ones without data to back it up. The right driver could be very much worth $500 or more – but it doesn’t mean that price equals value, especially in a complicated sport like golf. Like any golf club, the driver consists of (A) a clubhead, (B) a shaft and (C) a grip. Size: Are Big Driver Heads Just for Show? They do look cool, but there’s a reason for it. Given that the purpose of a driver is to hit it as far as possible, a larger clubhead is needed in order to deliver more mass to the golf ball, increasing distance. The extra mass comes at a price: control. The loss of control is due to the clubhead rotating slightly at impact. The clubhead reacts to striking the ball the same way you might if someone pushes your shoulder a little forcefully while you’re standing – by rotating a little. The technical term for this is ‘rotational intertia’ and you don’t want much of it in your driver. If your driver head is not balanced, you’ll have excess rotational inertia, causing the clubhead to rotate at impact which will send your ball off-target. To counter this, engineers discovered on distributing the mass of the clubhead in a way that minimizes the rotational inertia. They found that by shifting the mass of the clubhead away from the center of gravity, the rotational inertia is lower than a smaller, dense club. A lower rotational inertia makes clubs more forgiving when you miss the sweet spot. 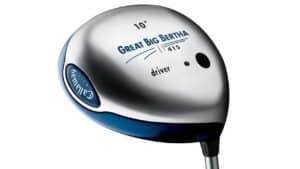 This was the concept that lead to drivers getting bigger and bigger (think Big Bertha). The simple way to think about it is bigger, bulb shaped head = less wobbliness at impact = less rotational inertia = more control/forgiveness. The USGA ultimately had to limit the clubhead size, which might be the only thing keeping us from swinging giant basketball-sized driver heads. Since the clubheads come in all shapes, it’s near impossible to manually measure them, so they measure the sizes by dropping the clubhead in a full bucket of water and measuring how much of the water spills out. You’ll also notice that drivers have a similar shape even without considering the distribution of the mass. They have a flat front face, backwards wedge shape (vertically) and a rounded back (horizontal). Almost all the most common drivers played on tour share the same basic shape. This is no accident. … If it weren’t for the physics, you better believe manufacturers would have some unique designs to stand out from the pack. You might be surprised to find that golf drivers don’t actually have flat faceplates. They’re actually a little convex (bulging). If you’re thinking, “wouldn’t that cause shots with off-center contact further away from target?”, you’re not alone. It might seem that a more rounded face would make it less accurate, but the secret is in the spin. If you hit the ball off-center towards the toe of the club, the driver will tend to impart hook spin ( and heel hits create slice spin). This is because off-center hits cause drivers to pivot around the club’s center of gravity, ultimately producing spin on the ball. Engineers started to add a bulge to the face to reduce the amount of spin and result in the ball landing closer to target than with a flat face. Unlike standard irons, the golf driver comes with a 45-inch graphite shaft. Using steel shafts on such a long club would make it very heavy and slow to swing. Graphite is about 40% lighter than steel and that means that the club will also flex more during the swing. Some people choose steel shafts but an overwhelming majority of golfers stick with the standard graphite. Graphite shafts come in varying degrees of flexibility. A high flex shaft will bend more during your swing, while a stiff flex will bend less. A shaft that is too stiff will limit your clubhead speed and therefore, distance, but produce a slightly more consistent shot. Increasing shaft flex increases clubhead speed, distance and can add some variance to your shot. The key in choosing the ideal shaft flex is finding the weight (between 50 and 85 grams) and flex (between XS – extra stiff and that optimize the trajectory and accuracy of your swing. Conventional golf wisdom encourages players to pick a shaft flex based on your clubhead speed. If you swing very fast (100MPH+) you should have a firm flex and slower speeds should have a more flexible club. Like any hard rules, there are plenty of exceptions. If your clubhead speed is high but your launch trajectory is low, a stiff shaft flex will limit your distance. Additional flex would help increase your launch angle. If you fall in this category, first try a 10.5 degree or higher lofted driver with a stiff flex. The opposite is true if you have a high launch trajectory and a slow swing speed. Lower lofted driver, either 9.5 or 8.5 degrees, paired with a high flex shaft would likely help optimize your carry distance off the tee. Golfers tend to be tinkerers and it’s easy to get caught up in finding the perfect combination for your swing. The data from many fittings show tht there’s not a huge difference made by a different shaft unless you happen to be really good. The simple answer here is: go with a standard flex graphite shaft unless you have a good reason to do something different. Standard is standard for a reason – it covers 80%+ of golfers without a problem. Once your handicap is down to low single digits, then it may be time to dig in. In order to get your clubhead speed as high as possible, the manufacturers increased the shaft length to over 45″. [every inch adds how much speed?] This extra length comes at the cost of accuracy. If you’re very inaccurate off the tee, you can try choking down on the grip by an inch or so to try and recover some accuracy. You’ll lose distance unless you increase the swing speed to compensate, but it’s likely to be worth the trade-off if it means staying out of the long stuff. 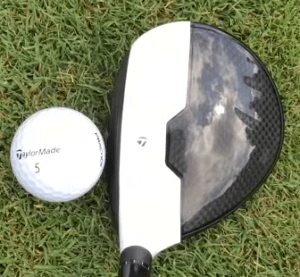 Driver vs woods: What’s the difference? You may see other bulb-shaped clubs at your pro shop that aren’t quite as big as the driver. These clubs are called “woods”. When metal drivers first came out, the remaining long clubs were re-named to woods since they were still made of wood. You won’t find any wooden woods in production these days, though: they’re all metal now. But the term wood lives on, for now. Woods have higher loft angles than drivers (typically 13-19 degrees [cite]) and are used for shorter distances than drivers or when you need higher ball flight than a driver would get you. A quality drive may net you 250 yards, but if the ideal landing spot is 225 yards away, you’d likely opt for a 3-wood instead of trying to nail a 90% driver swing. How do I know if my driver is USGA conforming? The USGA tests and approves the conformity of each production driver to the equipment rules. They keep a public-facing club list on the web where you can verify your driver is conforming. 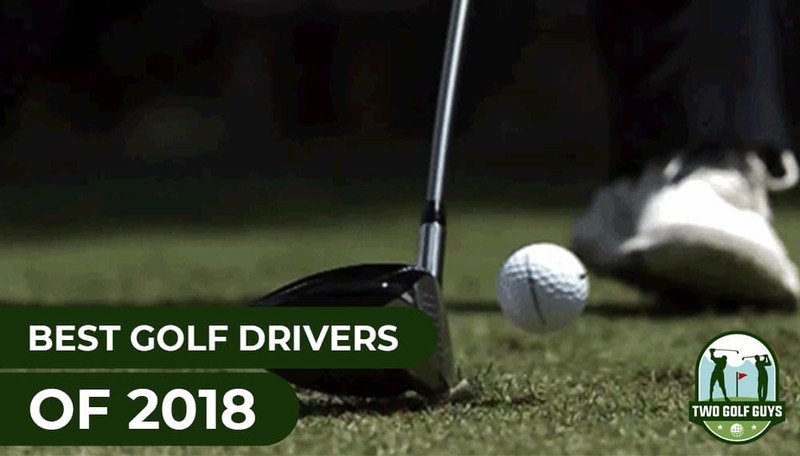 As a general rule, all the drivers from the major manufacturers are conforming, so you really only need to check if you like a driver from a smaller manufacturer. In 2oo7, TaylorMade introduced the R7 adjustable driver which let the golfer adjust the clubhead weight in multiple locations. Since then, drivers have evolved to have sliding weights and adjustable lofts to give the golfer more control. Flexibility often brings complexity and confusion. What if you get the settings wrong? This can cause golfers to pick the simpler option. Our view is, as you see in our rankings, that an adjustable driver the default settings is better than a standard fixed-loft driver. Ball speed is simply the speed of your ball immediately after making contact with the face of your driver. While your clubhead speed at impact may be around 100mph, the ball speed is much higher if you make proper contact with the sweet spot. 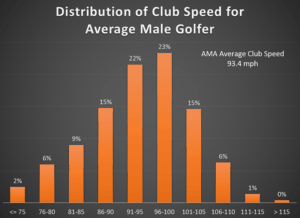 Clubhead speeds for drivers on PGA tour average around 112 MPH while ball speeds average over 160MPH. The ball speed after impact pushes the ball out to the fairway while the other factors determine the curvature of the ball flight. The relationship between clubhead speed and ball speed is called the Smash Factor – one of my favorite golf physics terms. You simply take the ball speed divided by the clubhead speed which typically approaches 1.5x with a driver and in the 1.2 range for your PW. The range is mostly driven by the length of the club, since the longer the club, the faster the clubhead speed will be. If you crush it but the ball comes out too low, you’ll end up skidding down the fairway too early, wasting 30-50 yards. You’ll also come up short if you launch it too high, where you lose most of the velocity to it traveling up and down instead of out at your target. Your goal for optimal ball flight is to figure out how many degrees of loft create the “just right” ball flight that maximizes the distance. Angle of Attack – Is your clubhead descending towards the ground at impact or ascending? According to Trackman, the leading launch monitor used by PGA Professionals, the optimal launch angle for a driver is about 12 degrees. Amateur players tend to have higher degrees of loft at impact – usually around 15 degrees. This is all a geeky way of saying that 12 degrees is the launch angle that tends to put the ball in the air for the longest amount of time – not too low where gravity steals precious yardage, and not too high where your ball spends more time going up and down than out. The simple way to think about the effect of spin on your ball flight is that it’s responsible for most of the shape of your ball flight. Sidespin, generated when the path of your clubface at impact travels across the ball (opposed to directly in line with target), will cause the ball to have sidespin. The sidespin causes the ball to curve towards the direction of the spin. A great example of spin can be found in another sport – soccer. If you watch a skilled player trying to score from a corner kick, you’ll see the player kick *across* the ball, from the inside out towards the penalty area, which causes the ball to start out towards the penalty mark then curve back towards, and hopefully into, the goal. The same concept applies with your golf swing: inside-to-out will draw the ball from to left, and outside-to-in will fade the ball to the right. This idea in physics is called the Magnus Effect. If you hit the ball straight-on, positive dynamic loft will cause backspin which makes your ball go higher and further. An inside-to-out path with a slightly open face will impart sidespin that creates a draw. Conversely, an outside-to-in swing path will create a fade (curves to the right for righty golfers). Topspin, caused by hitting the top of the ball (too much of an ascending strike) or not enough club loft will result in a low flight. Backspin, caused by a combination of a descending strike or too much loft will lead to sky-high ball flight. Your goal in picking a driver is to find a driver that helps you optimize these conditions consistently. Keep in mind that if you’re not consistently hitting the same place on the clubface, you’ll want a more forgiving club that does not penalize you for mishits. If you are consistent, a forgiving driver will likely rob you of some distance, so it’s important to be realistic with yourself about your *real* typical drive, not the best one of the day. We’re in a second phase of the adjustable driver phase with the sliding weight inlays that have been popular with the SLDR Driver. Most golf club manufacturers release a new product every 1-2 years, similar to car companies or smartphone producers. There are a lot of paralells between these industries: start with a new model, make some minor changes based on customer feedback and every few years launch a refreshed version with updated aesthetics. The performance changes from year to year are usually not very significant (or else you’d market it as ‘brand new’). There are a lot of factors that impact your ball flight. From your the biokinetics of your golf swing, paired with the materials and measurements of your club through a multi-layer golf ball. All this information is transferred to the ball in less than 1/100th of a second. 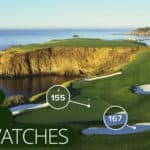 Coefficient of Restitution – (http://wishongolf.com/how-does-cor-affect-your-golf-game/) – how does the ball spring off the face? While it’s easy to look at your club and see what the loft is. But another factor affecting your ball flight is the clubhead’s Center of Gravity. This is a little like a bigger version of balancing a pencil on the tip of your finger. The Center of Gravity is the point which you’d be able to balance the clubhead in 3d – meaning that the mass in every direction around it is roughly equal so it would not tip over. If you tried it at home you’d have a tough time due to the bulb shape of modern clubheads, but it’s easy to do this with a pencil because the pencil has a flat surface. So what does the center of gravity have to do with your drive? Even though the CoG is a small spot in your clubhead, it can greatly influence your ball flight. The location of the CoG relative to the face of the club makes a big difference in the ball flight. A center of gravity located near the face and low will result in a low-spin shot with extra distance, but if your clubhead speed isn’t near 100mph your ball flight will be too low and you’ll end up losing distance. Because of this, better players tend to play drivers with forward CoG. Don’t rule these clubs out if you’re an amateur – you can just pick a higher lofted club to counterbalance the lower launch angle. Let’s start by visualizing a perfect drive, where the path, face angle and CoG all line up. The ball flies straight out with no spin (curve) and the Center of Gravity being directly behind the center of the golf ball at impact. The game of golf has the greatest amount of options in terms of choice than potentially any other sport, which makes life difficult for someone looking for a driver that’s best for them. I’m hoping to alleviate some of the stress by going through the big hitters in the industry, and explaining the products they have available for every player level. This way, when you go in to the store and you’ll be better prepared. The list below contains detail on each driver available from each brand and their prescribed skill levels. TaylorMade and their current line are a renewal of their very successful M Series, and who can blame them for sticking with it. The M-Line was the most widely used on tour, and the highest selling series in golf. TaylorMade owns the driver and fairway woods categories, and has for multiple years. The latest TaylorMade lineup offers two drivers, the M1 and M2. The primary difference between the two is that the M1 is fully adjustable with two weights on two tracks, one for fade / draw settings, and the other for maximizing forgiveness or reducing spin. An improvement on the previous M1 model is that the club has a more streamlined club head by being slightly narrower, and using more carbon fiber in the sole plates. TaylorMade also made the weights heavier so it allows for a greater amount of adjustments. Along with the 460cc head (which is the normal size for most drivers in the industry), they also produce a 440cc version of the M1 which is very good for players with faster swing speeds that prefer control over carry distance. The M1 retails for $499, and can be customized easily through Taylormade’s website to your exact specifications, including additional shaft options, many available free of charge. The M2 doesn’t have the adjustability in the way of the T-Track, but it does allow for the loft to be adjusted, and comes in two styles, the M2, and the M2 D-type. The improvements are basically the same as the M1 from last year to this year. The M2 only comes in the 460cc head, but its comparable to the M1 in terms of the improvements from last year (Less weight, higher speed), the the other interesting club is M2 D-Type which Is a blast from the past as it is their first Draw biased driver in over 3 generations. This driver is for the golf who has a fade to slice bias. TaylorMade wants you to know that essentially if you miss right a lot, but the M2 D-type and that issue to some degree will be corrected. Cobra comes in swinging with 3 models available. Cobra has been surging in the club market, with success by Rickie Fowler, it’s easy to understand why, plus many of their drivers come in a lower price point than the industry average. The Cobra lineup this year includes three drivers, all geared towards different players but all have one thing in common. They all possess the “Cobra Connect” system. This is a sensor in the grip of the driver that is powered by Arccos technology. The benefit of this system is that it’s a free app on smartphones, it tracks your driver distances, as well as provides access to a GPS all free of charge. That being said, if you have no idea how to work that technology, and you just want a good driver that will perform well, it can be found with Cobra. Front Setting – 12gram weight behind club face – Setting produces more roll, greater workability, but sacrifices a bit of forgiveness. Back Setting – 12gram weight on back of club –Most forgivable, and produces a higher carry, but increases spin and loses roll. Heel Setting – 12gram weight in heel of club – Setting best suited for players losing ball to right, average in forgiveness, spin and carry. The Cobra F7+ has an identical weighting and adjustment system to the F7, but has a smaller profile, the club head is the exact same with both drivers coming in at 460cc, but its more streamlined required a bit more skill to use. So when looking at these drivers, remember the real difference between the two is slightly smaller hitting area on the face for the F7+, but generates high speed. Moving on to the other driver in the Cobra range is the Cobra King LTD, which is a revamp of their LTD model from last year, there are no adjustments on the club except for the hosel which can be used to adjust loft or add a Draw bias to club head. 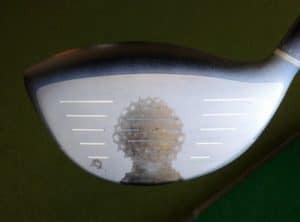 The driver brings back the Spaceport technology, a large weight in the head that is 16grams in weight and, when removed, allows the player to see in to the driver. The purpose of this is lowering the Center of gravity to near neutral, which means the “Sweet spot” is lower than most drivers on the club face, meaning it produces less spin, a higher ball speed and higher launch. Cobra F7 – Usable by every golfer, lower price tag than most drivers at $349, adjustable, and is their most forgiving club. Being one of the leading club manufacturers, Titleist produces less new clubs than any other mainstream maker on the market. They produce a new line every 2 years, alternating between iron years, and driver/wood years. This is a clever strategy because it means that the clubs do not drop dramatically in price from year to year. This cycle of equipment was no different. The 915 series gave way to the exciting 917 series, with two options available. The 917D2 is your average golfer’s weapon. An understated and streamlined driver, it provides a large and forgiving 460cc club head, and a new thing for Titleist which is the weight adjustments on the club head with a new piece of tech for Titleist which is the “SureFit CG”. The Surefit CG” is a simple system, but extremely efficient. In the head of the club is a weight in the shape of small rod when inserted provides either a fade or draw bias allowing for greater shot-shaping. Titleist combines that with their Surefit hosel which has been used since the 910 back in 2010. It allows for 16 different combinations of setting to provide personalized settings. Changes have also been made including a large groove behind the face that improves the acoustics in the driver, as well as provides a great transfer of energy at the Moment of Impact. Providing the other flavor in the Titleist Club offering is the 917D3. The Tour level driver head is a smaller 440cc, with the same adjustment capability as the 917D2, but with lower launch and less spin. Another feature you will see is what Titleist is calling the “Radial Speed Face 2.0”. The face of the club is thinner to provide a more explosive impact. The real party piece of the D3 is its workability, it is possibly the most workable out this season because of smaller size, and simple, clean look and feel. The place where Titleist seems to fall off is their pricing model. Yes, the driver is important, but you have to ask yourself, does it provide such an improvement to warrant a larger price tag. Both of their drivers start at $499, which is a steep amount for a majority of golfers for one club. For a high price, you would expect it to be miles ahead, but it’s competitive statistically with the other manufacturers, so you really have to be sure you try all the options before you settle on a big stick. Ping hits 2017 with 3 drivers that have actually been out with their latest line for the longest of the current generation of drivers for the manufacturers listed. They released the G – Series back in 2016, and will continue to do so likely until late 2017, early 2018. This is a benefit to the consumer, because it means that the price of the club won’t drop drastically, as it would if a manufacturer brought out the next driver 12 months later. Something to be aware of, Ping announced the price for the G Driver range is on sale. That being said, Ping attacks 2017 with the G-Series, a well-established name on tour and in amateur golf bags with three offerings, all aimed at specific players in mind. The G Driver is the all-around driver of the range, appealing to all golfers. It has a design Ping is calling “Dragonfly Technology” which are sections of the crown that have less material in an aerodynamic setup that increases speed, as well a Vortec channel that reduces drag. Ping, more than any other Manufacturer is prizing increasing speed, as well as control. The other drivers, the G SF Tec, and the G LS Tec are based on the same premise, but designed to solve different problems. The LS Tec is suited for a driver who wants a lower spin rate, which the driver provides by have a slightly forward center of gravity. The SF Tec has a weight slightly closer to the hosel of the club, help correct a slice, or produce a greater draw. All three of these drivers can be purchased for $299, and are steals at that price. Callaway recently took the crown as the top seller for drivers in the month of January this year, as well as becoming the number 1 driver on the LPGA. The Epic line of drivers joins the Fusion line spearheading Callaway into 2017 where they look to unseat Taylormade as Metal wood leader. The most innovative feature about the drivers is the introduction of “Jailbreak Technology”. Two titanium rods are inserted behind the clubface that keep the club head connected through impact, producing more efficient contact allowing a greater transfer of energy to the ball. Callaway is saying this produces a faster club head, and greater drive distance of any club on the market. Also, taking a page from their fusion line, they’ve included a carbon crown, the difference with that is when you take weight from the crown, or anywhere else in the club head for that matter and lower it, physics will tell you that it will produce a higher launch. The Callaway Epic line is made up of two drivers, epic and the Sub Zero, which is a feature they brought back from the XR Line, but it appears rather than introducing a line of three like they did with the XR, where they had the XR, XR Pro, and the XR Sub Zero, they brought it back to 2 models being on offer. The primary distance between the two is the perimeter weighting system that they have use previously on their great big bertha line, and carried it over to the Epic, except the weight is now 17 grams which allows a greater adjustment to be made. The Epic Sub Zero doesn’t have the same adjustment settings, and instead provides two weight placements, one 12gram weight and another 2gram weight. Most golfers perform better when the 12 gram weight is in the back setting at this allows a greater amount of forgiveness, but can move the weight forward if they prefer a lower spin setting. The other advantage is that every other manufacturer that brought out clubs this year, (Taylormade, Cobra, and Titleist), only Callaway doesn’t have a price difference between their “Players Driver” and the “Forgiving Driver”. Their line is the exact same price, and that certainly stands out because it doesn’t feel like you’re giving something up if you go with one or the other. There’s a reason the Callaway Epic line has become the best selling driver in golf over the past 2 months, but staying at the top won’t be easy if the other manufacturers have anything to say about it. The quest to build the best golf driver is extremely competitive! 2017 is definitely shaping up to be a great year in golf. Every manufacturer has at least one win, and it’s going to be a slugfest as companies try to woo customers to their brands. Notice that not one company is dominating, and there are benefits to every driver here. You need to go with what’s best for you, and I hope that now you know a little bit more about each of the clubs on offer, and not be as intimidated by all the options at the pro-shop / store / or online. Remember to keep it straight, and play great. Thanks for reading! Getting the data from a launch monitor is a good idea when making your decision. Thank you. Just don’t want to spend $500 when a year from now it will be significantly less. It’s principle. I’m in the market for new irons and a driver and have been a bit it overwhelmed with the information on web sites and at the golf stores. Your write up helps me navigate the marketing hype to determine the club for me (game improvement). Your write up confirms what i felt in the shop. Appears its a bake off between Titleist AP1 (I’ve been swinging Titleist for 15 years) and Ping Gs. Going to get fitted today. The lower priced driver component/shaft sales companies offer duffers (high handicap) players or beginners a lower cost alternative. Independent reviews of these golf clubs would be helpful since the cost is less, but some technology is advanced. Reviews of these products would fill the need. See Hireko Golf, Monark Golf, and others on line. Great idea, Gary. Going to add to our list of updates. Thanks for reading!